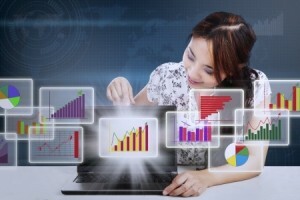 Data Analysis to Catapult Your Cost Savings – Are You Doing This? I’ve spent over two decades making a living off of the fact that our profession is in complete disarray. I want to fix that problem of course. It doesn’t matter what company or agency I go to, I leave thinking “wow, they are leaving so much money on the table”. Yesterday was the first time that I visited a client and didn’t get this impression. Ever. I was completely unprepared for this, because prior to that, it was just like watching a series of bad re-runs. I was supposed to talk about negotiation planning practices today (that’s what I promised in my last blog anyways), but I just can’t do it. I have to talk about what I saw. It’s everything I’ve been pushing companies to do for the last 20 years. And it changed everything for this company. You see, the problem in most purchasing departments is not lack of competent people, it’s a lack of competent practices. What I see over and over in big, spread out companies is a lack of ability and knowledge on how to look at corporate spends and analyze them to make strategic purchasing decisions. Purchasing professionals KILL themselves trying to find data. Data on commodity spends, supplier spends, existing contracts elsewhere in the company and actually accessing them, and so on. Riddle me this: If I were to ask you how much your company spent on office chairs at a particular location in (say for instance in your Singapore branch only), how long would it take for you to tell me? Or if I were to ask for a copy of all global contracts your company has for copier toners, landscaping, and carpet installation, how long would it take you? Or what if I asked if there was a corporate agreement in place for curtains and blinds and wanted to know the pricing and terms, right now? Or if I asked you to sort all outstanding contracts by dollar amount and expiration dates, how long would it take you to tell me? The business I went to, which is spending $11B/annually in total, could do all of the above with the stroke of a mouse, literally on demand. I watched it, and I’m going to leverage them as a use case in the future. And guess what, they were a government agency. I’m not kidding. And all of this spends analytics and spends aggregation and contract sharing was being done across all of their sister agencies, not just in their own agency. In other words, they were acting like one big purchasing organization across these various agencies in the state of California. What a concept! How did they get all of this? Well, someone at the top “got it” and took a leadership position on the behalf of all the agencies. And so they invested in elaborate tools that allowed real time business analytics, dramatic aggregation of spends, a best in class ePurchasing implementation, true cross agency commodity management models instead of decentralized purchasing like most other agencies do, and real time access to information that slashes cycle time and catapults TCO. And they even had their modules set up to allow them to select lowest TCO vendors instead of being forced to go with the lowest bidding vendor, like most other government agencies do. These tools have resulted in this agency now saving an additional $200M a year for taxpayers. Wow! But if you think your company can also just buy a bunch of systems, plug them in, and then stroll into a rose garden of cost savings right afterwards, you will be sorely disappointed. If you just buy systems and quickly implement without doing process and controls redesign, all you will be doing is automating a bad process. I’ve worked with companies who’ve done these implementations, and helped them find these rose gardens. But they take work. Burning calories has never come free. But the payback is phenomenal if you do it right. What you really have to ask yourself is, how much time do you spend looking for information, and how many times do you move forward with a purchasing decision while lacking the right information? If you really start paying attention, you will be shocked. So let’s be honest here. If you don’t have such a system in place now (and remember, system means not just the application, but also the right information and business processes and controls), you probably won’t be getting one real soon either. But there are things you can and should be doing to completely revamp how you go about doing purchasing, absent these tools and investments. True aggregation of spends, development of centralized global commodity structures, development of forward looking commodity expenditure and savings plans, having contracts in place that aren’t seat belts but instead enable supplier continuous quality improvement, driving 90% of your business to 1% of your suppliers, spending 80% of your time in strategy and only 20% of your time in tactical mode, taking costs out of the supply chain instead of trying to get suppliers to cut profits to give you a lower price. All of these shifts have to happen if you want to be a world class purchasing professional. I’m going to do as much as I can through blogs, but I can do much more if we work together. Ask me about professional coaching services and in house purchasing and supply chain management training seminars. I’m also coming out with a game changing, purchasing training solution near the end of this year that’s going to shake the foundation of this whole industry. Hang tight, it’s going to be a really wild ride! Previous post: Selecting Negotiation Team Members – Are You in Control of the Process? Next post: It Happened Again! Are You Watching Your Customers?